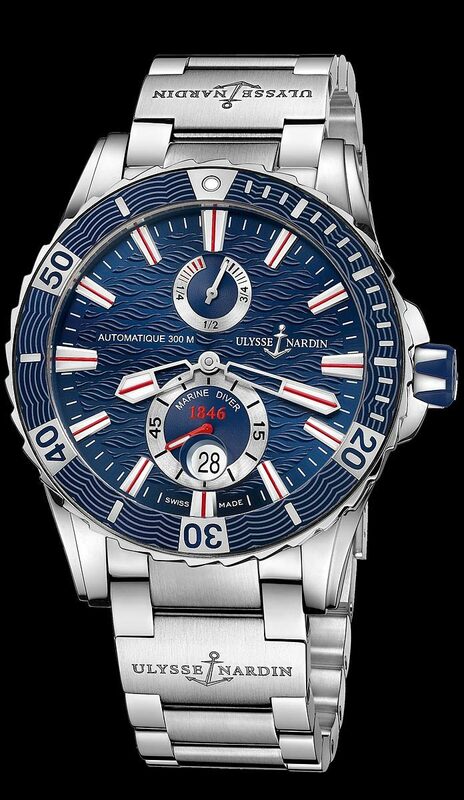 Ulysse Nardin Maxi Diver NEW Redesigned case. 44mm, stainless steel case, and new blue color dial etched with waves. 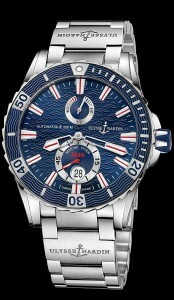 It features the traditional power reserve indicator, and date function. The solid stainless steel, case back is etched with a sail boat and “Conquer The Ocean”, it is shown on a stainless steel bracelet. PRICE $9500 dlrs. TO PURCHASE THIS WATCH CALL US 956.687.2981.